Solemn opening of a tram-line in St. Petersburg. Photo by Karl Bulla. The new vehicle replaced horsecars. 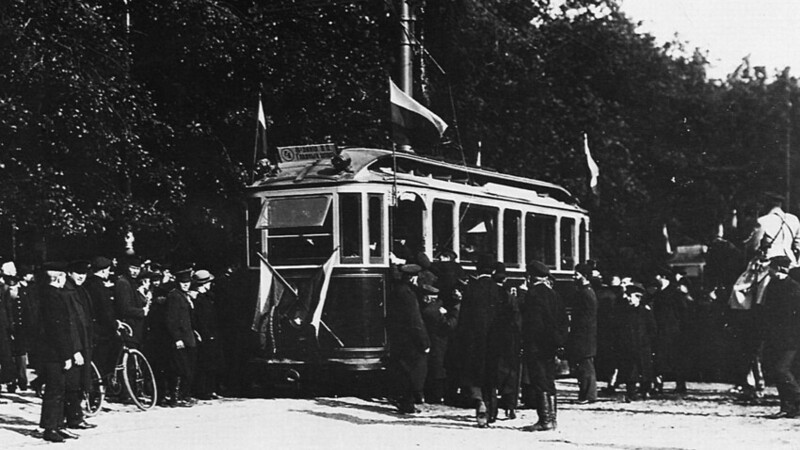 The first tram in St. Petersburg (then the capital of Russia) was put on the tracks on Sept. 29 1907. The tram replaced the old horsecar (konka). By 1908, there were nine tram routes in the city. Soon, the tram became the main form of public transport in St. Petersburg. By 1917 the total length of tramways in the city was about 200 km, used by no more than 710 tram cars. At the end of 1980, St. Petersburg’s tram network was included in the Guinness World Records as the biggest in the world. Australia’s Melbourne has since overtaken the Russian city. Currently, St. Petersburg has 39 tram routes and 280 km of tram lines: The fourth longest in the world.